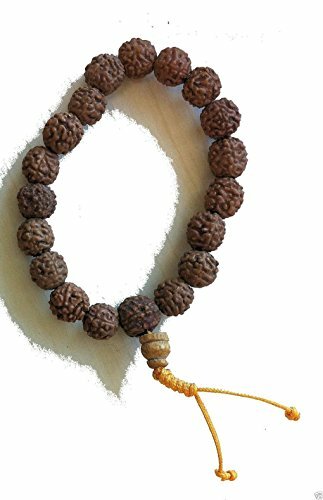 You are looking at a beautiful set of Nepali Tibetan unbrushed bodhi seed 19 Buddhist mala prayer beads. The seeds are ~ 8mm in size! Buddhist prayer beads or malas are a traditional tool used to count the number of times a mantra is recited, breaths while meditating, counting prostrations, or the repetitions of a buddha’s name. They are similar to other forms ofprayer beads used in various world religions and therefore the term “Buddhist rosary” also appears. Malas are used for keeping count while reciting, chanting, or mentally repeating a mantra or the name or names of a deity. Thiss?dhan? (practice) is known in Sanskrit as japa. Malas are typically made with 18, 27, 54 or 108 beads. In Tibetan Buddhism, malas of 108 beads are used. Some practitioners use malas of 21 or 28 beads for doing prostrations. 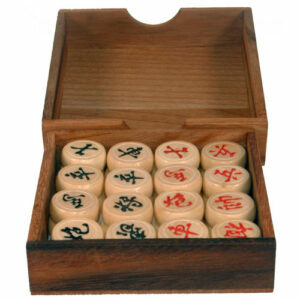 In Tibetan Buddhism, malas are mainly used to count mantras. These mantras can be recited for different purposes linked to working with mind. The material used to make the beads can vary according to the purpose of the mantras used. Some beads can be used for all purposes and all kinds of mantras. These beads can be made from the wood of Ficus religiosa (bo or bodhi tree), or from “bodhi seeds”, which come from rudraksha.